Get a free bottle of NESTEA®. Just click the link below to claim your free bottle. 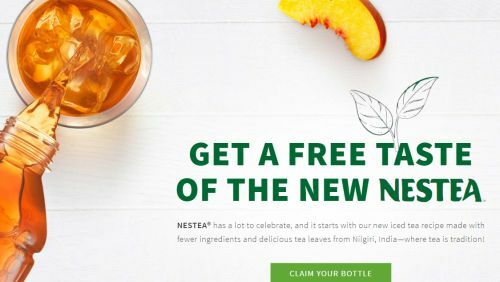 Once on the website click the, "Claim your bottle" button to get a free bottle of NESTEA®. You will be taken to another screen to enter your information.